Snap-On Smile is a convenient way to create a beautiful smile without permanent restorations. With its unique formula of hi-tech dental resin, it is very thin yet extremely strong. It will also provide you with the look of natural teeth. A Snap-On Smile in St Clair Shores fits right over your own teeth to give you a beautiful, natural looking smile. If you have stains, chips, gaps or missing teeth, Snap-On Smile may benefit you. You can also eat and drink with your Snap-On-Smile. At St Clair Shores Dental Office, we offer many dental and cosmetic services, designed to make your smile beautiful and healthy. Contact our Snap-On Smiles dentist in St Clair Shores for more information. We strive to provide you with the highest quality care, including the use of Snap-On Smiles. For more information or to request an appointment, contact our St Clair Shores dentist. Our St Clair Shores dentist and team are dedicated to providing the highest quality care in the most comfortable environment. We offer convenient night and weekend hours, accept most insurance plans and have over 35 years of experience! At our dental office, we offer a wide variety of dental services for children and adults of all ages. Some of our services include: general dentistry, cosmetic dentistry, sedation dentistry for anxious patients, children’s dentistry, dental implants, dentures, root canal treatment and more. Visit Our St Clair Shores Dental Office! Please take a tour of our St Clair Shores dental office. 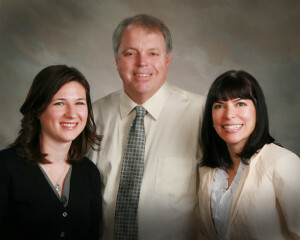 Dr. David Renaud, Dr. Theresa Caruana and Dr. Audra Herman are always welcoming new patients! Contact us for more information or to schedule an appointment.